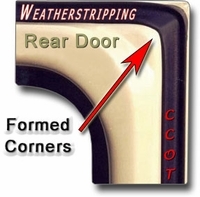 Has weatherstripping rusted out the bottoms of your ambulance doors? Don't buy and restore used doors. 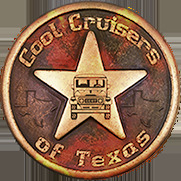 They have trapped rust inside just waiting to re-surface after you apply a new coat of paint. CCOT has a simple solution. 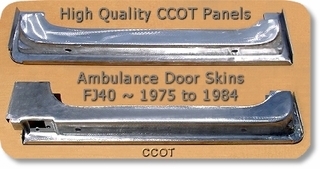 Simply cut off a lower cross-section of your ambulance doors and weld on CCOT's (new steel) high quality replacement skins. Skins Built and Backed by CCOT with Guaranteed fit. Door Skins Finished in the "Raw", Click for Description. Door Skins, Rear Driver's, Lwr. 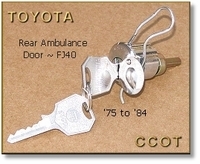 Cross-Cut w/Latch Box ~ 1 ea. 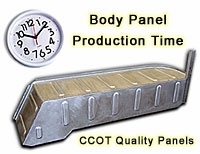 Select skins by production date ~ there is a "difference"
Door Skins, Rear Passenger's, Lwr. Cross-Cut ~ 1 ea.